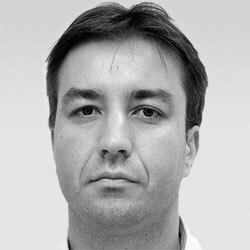 Vladimir Vukadinovic is a senior research engineer at Nokia Networks working on mission-critical machine-type communication in 5G. Before he joined Nokia, he was an associate research scientist at Disney Research in Zurich, where he served as a technical lead for several projects in the area of IoT protocols for smart entertainment theme parks and low-power toy-to-toy communication. He also worked as a senior researcher at the University of Klagenfurt on problems related to multimedia transmission in self-organized networks of UAVs used in disaster management situations. He got his PhD degree in communication networks and protocols from the Royal Institute of Technology in Stockholm, Sweden in 2010. In the past few years, the Internet of Things (IoT) has accelerated at a tremendous speed: the technology has spread throughout cities, workplaces, homes, cars, and wearables. Businesses everywhere are looking to harness IoT not only to reduce expenses and increase revenues but also to create new experiences and find new customers. However, IoT is still a “wild west” when it comes to standardization and interoperability: product designers and software developers have to decide among a plethora of wireless technologies, networking protocols, operating systems, cloud platforms, and application profiles branded as “IoT-ready”. This talk provides you with an overview of key technological enablers for IoT, helps you understand their tradeoffs and capabilities, and gives you a sense of what implications they may have for application software design.